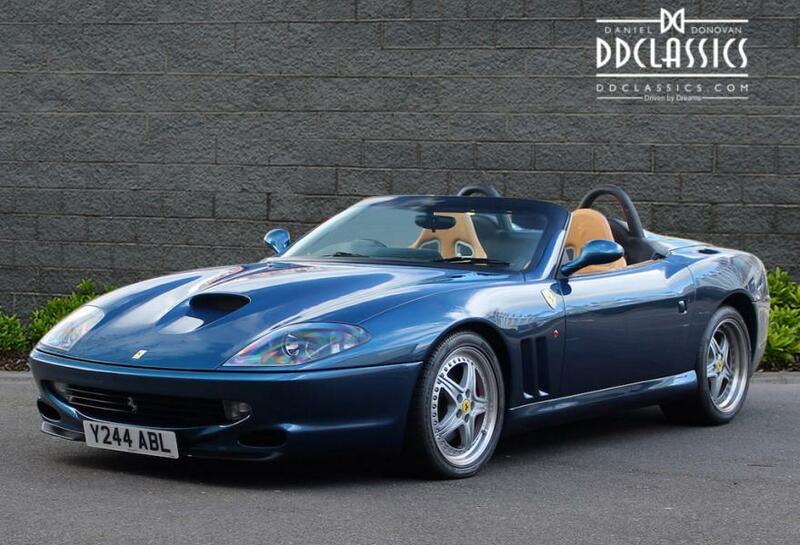 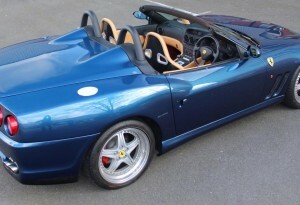 DD Classics is proud to offer this exclusive and rare RHD 550 Barchetta for sale, presented in a stunning colour combination of Blu Nart with Tan hide and Bordeaux carpets. 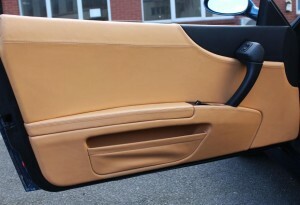 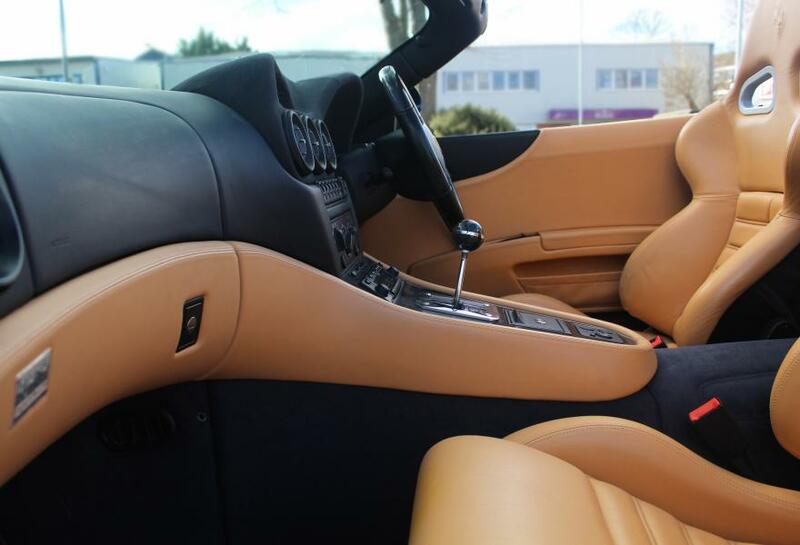 Our car is in superb condition throughout, the paintwork is exquisite, the bodywork is straight, the removable soft-top remains unmarked and is easy to erect. 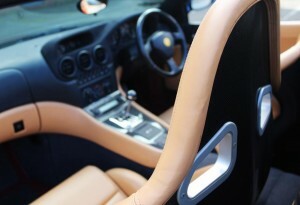 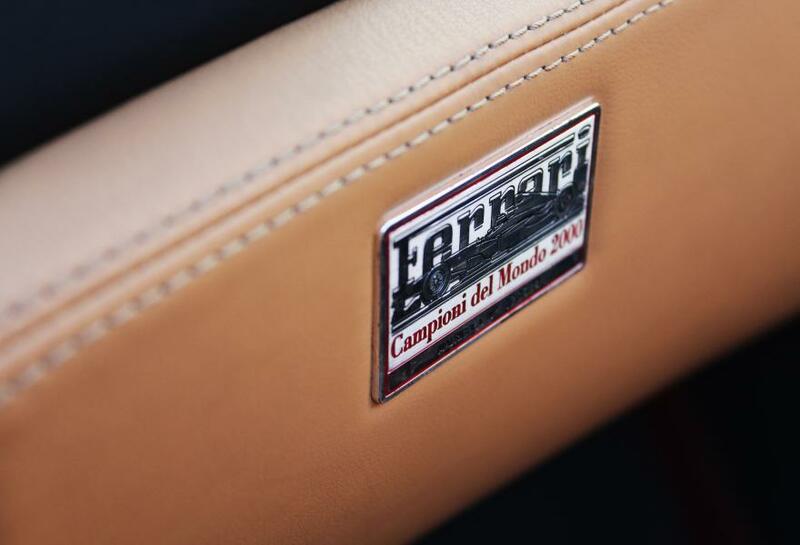 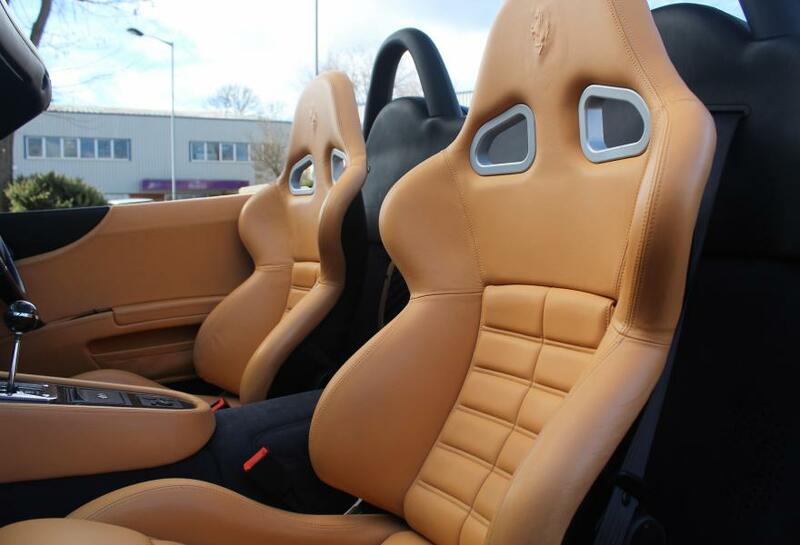 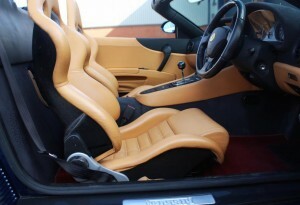 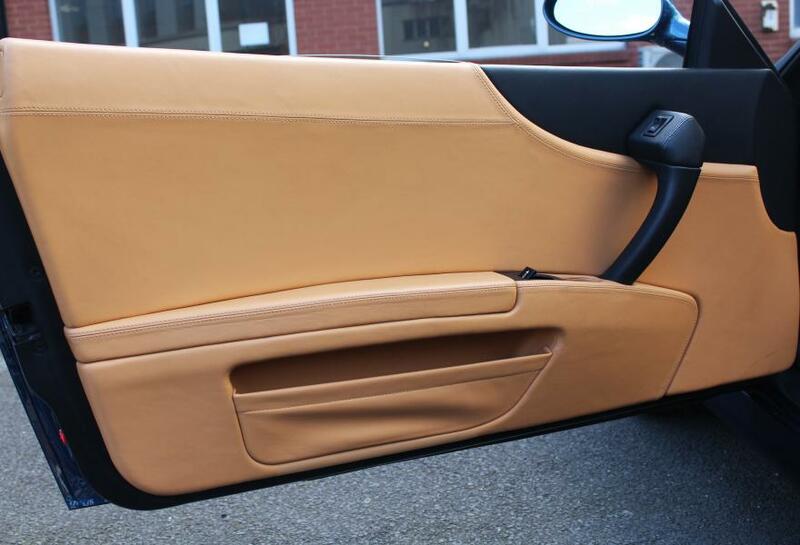 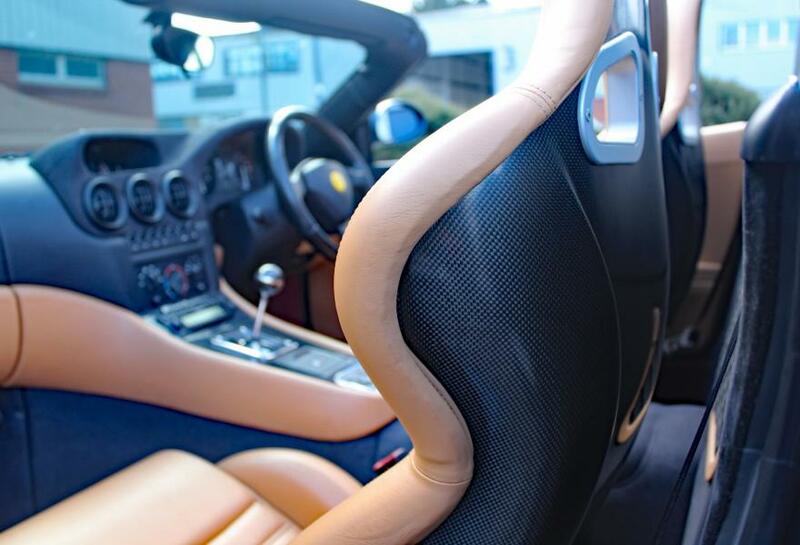 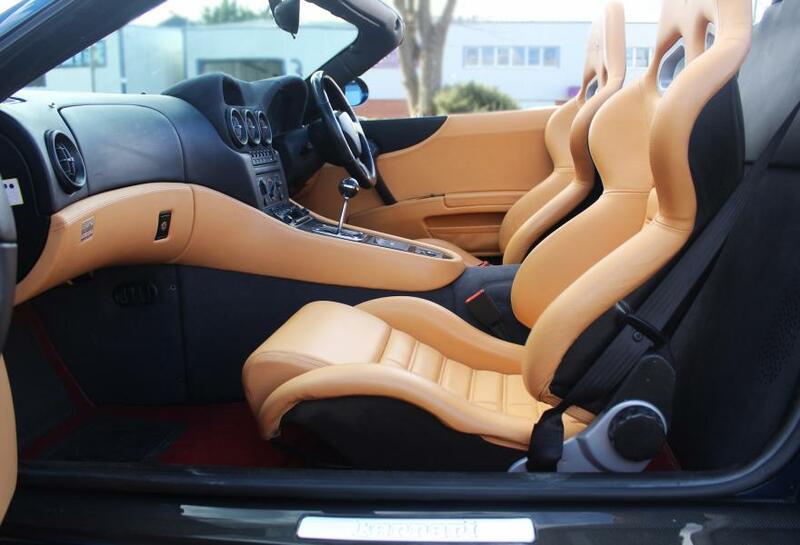 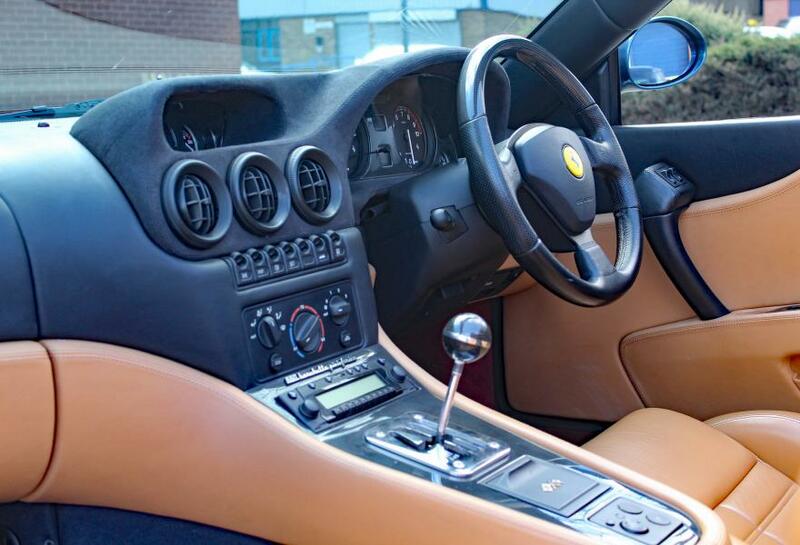 Inside, the 550 emanates exclusivity, its Tan hide seats are in wonderful order and with the carbon fibre racing seats this really feels like one special Ferrari. 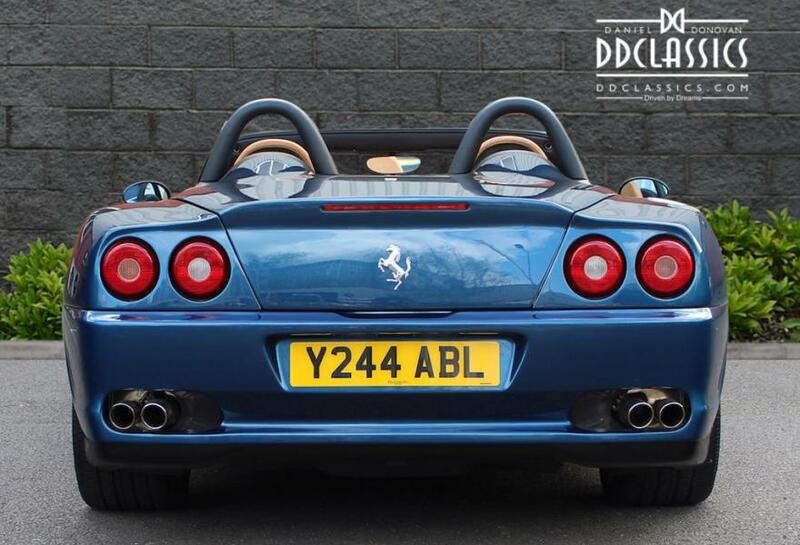 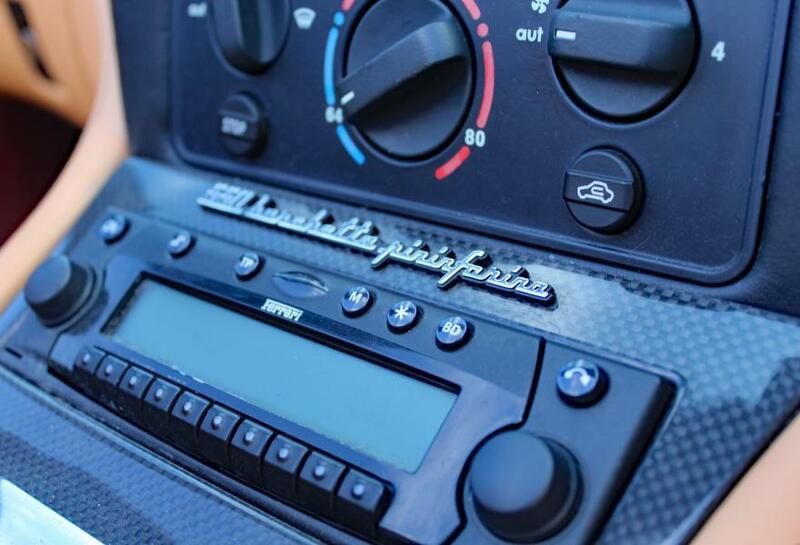 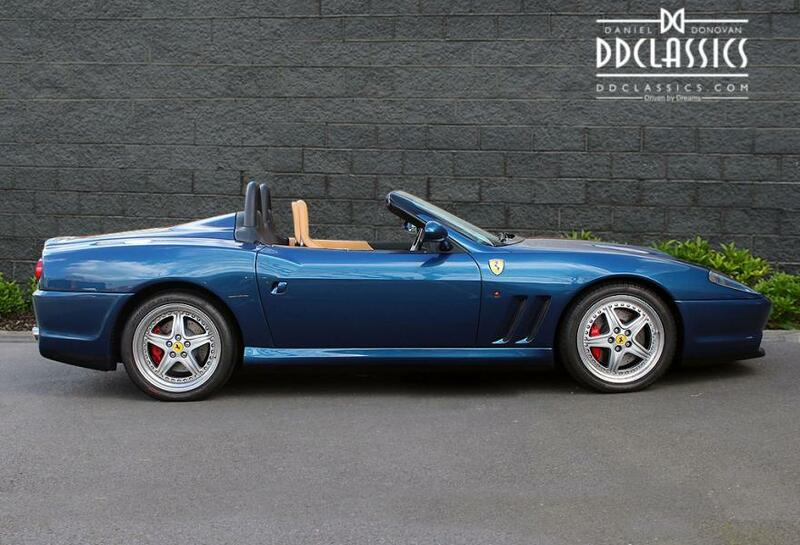 Our 550 Barchetta has travelled a mere 13,800 miles from new and comes complete with the original Ferrari bookpack and service book as well as a comprehensive file of paperwork. 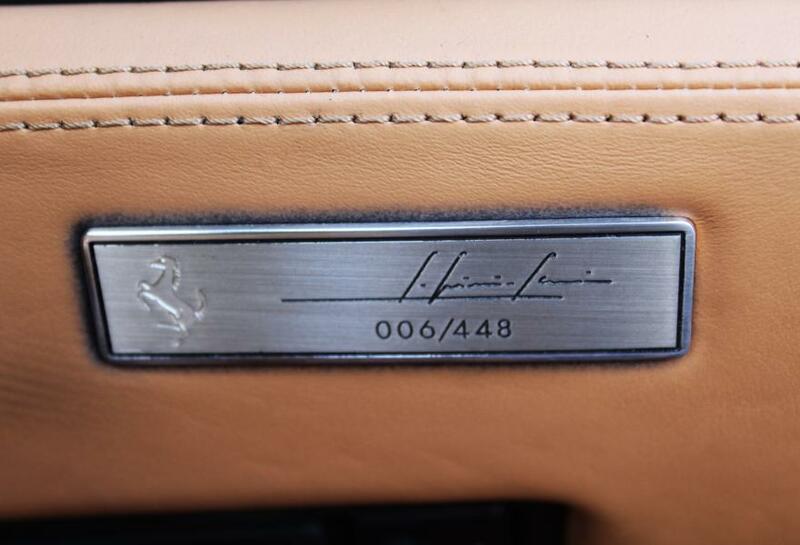 The service book shows the car was first owned by a famous British rockstar and contains a total number of 11 stamps from Ferrari dealers. 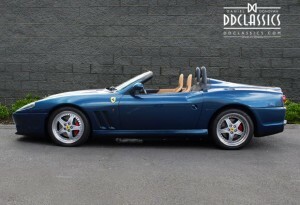 "the 550 Barchetta is truly an incredible car to own and behold, and one that never tires of providing top-down fun in the sun"
Ferrari’s 550 Maranello heralded a return to the company’s roots in the grandest fashion. 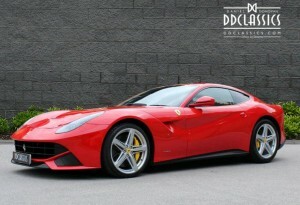 A two-seat, front-engined V-12 coupé had been absent from the company’s line-up since the 365 GTB/4 Daytona. 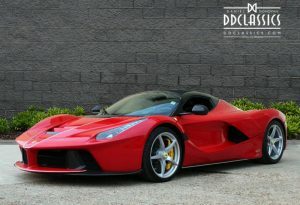 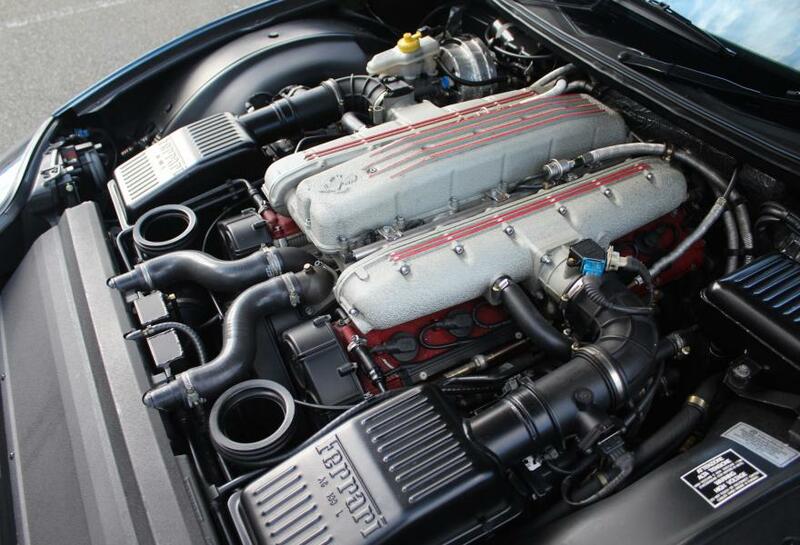 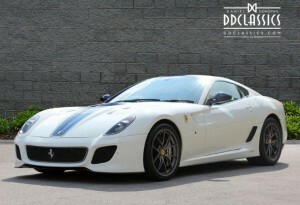 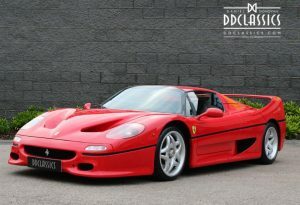 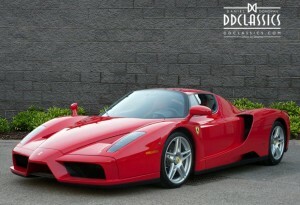 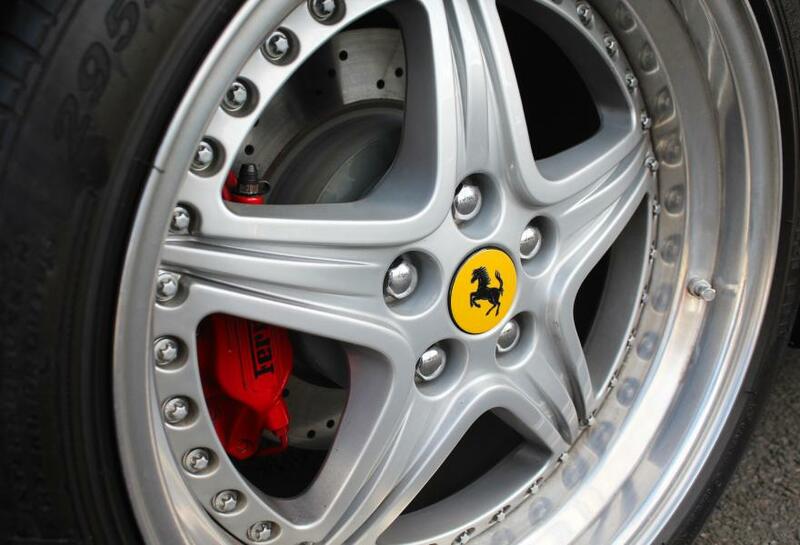 The decision was made to revive the format as a replacement for Ferrari’s mid-engine, flat-12 models. The result was an improvement over the outgoing F512 M, as it boasted superior performance, a larger and more comfortable interior, and a boot that could easily hold enough luggage for a weeklong road trip for two. 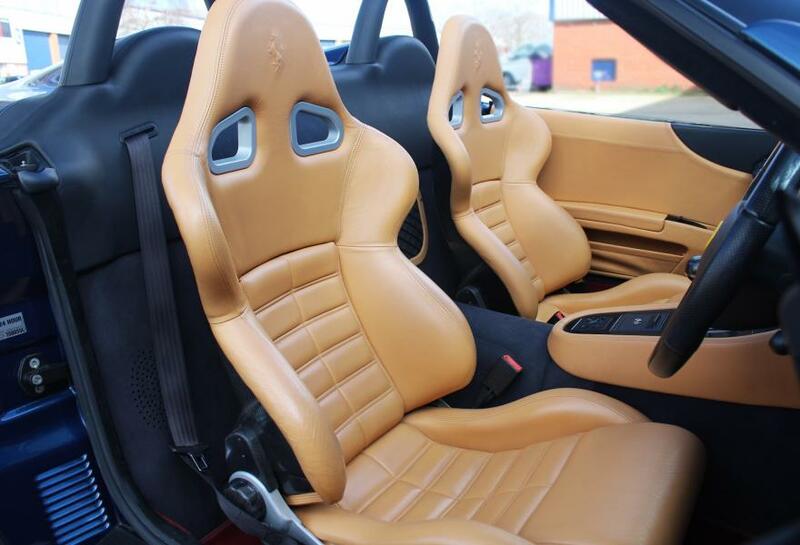 Like the Daytona, the 550 Maranello’s success warranted the production of a limited-edition variant. 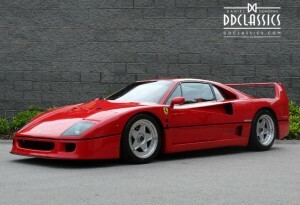 It was decided that this car would be a homage to some of Ferrari’s earliest and most desirable cars. 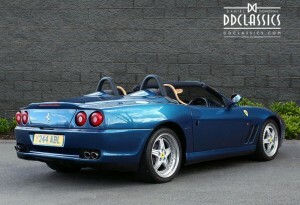 First displayed at the 2000 Paris Motor Show, the 550 Barchetta was a barchetta in the truest sense. 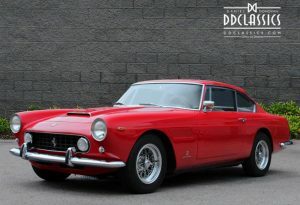 With only a rudimentary soft top for emergency use when caught in the rain, it featured a shorter, more aggressively raked windshield, two-piece alloy wheels, an aluminium fuel-filler cap, and a restyled boot that was, surprisingly, larger than that of the coupé. A total of 448 Barchettas were produced, four more than initially planned due to concerns of superstition in the Japanese market but only 42 examples were produced in right hand drive our car was the 6th to be manufactured. 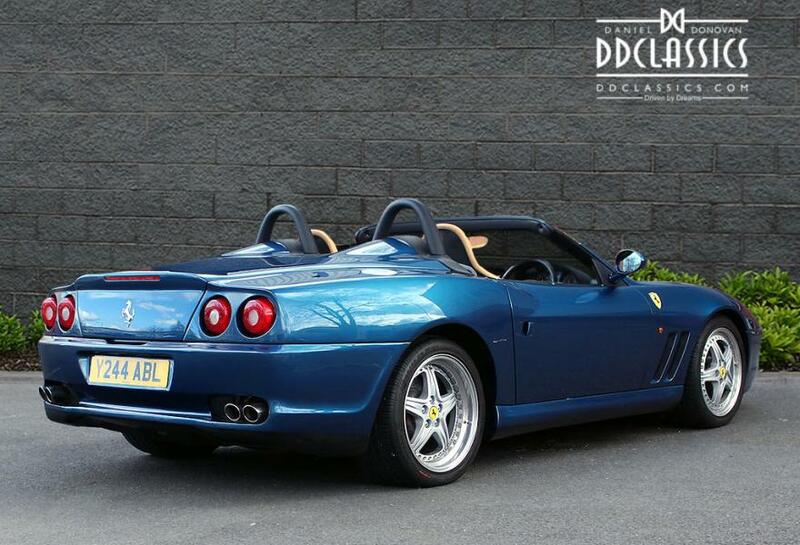 DD Classics is proud to offer this exclusive and rare RHD 550 Barchetta for sale, presented in a stunning colour combination of Blu Nart with Tan hide and Bordeaux carpets. 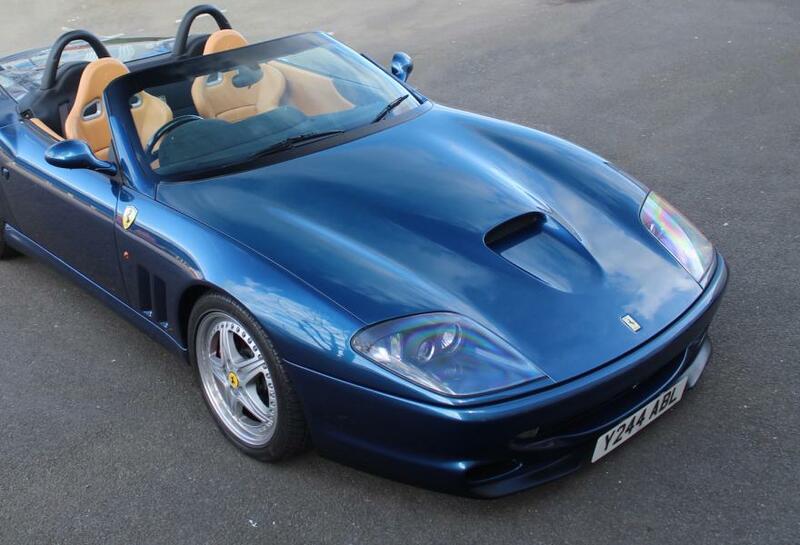 The car is in superb condition throughout, the paintwork is exquisite, the bodywork is straight, the removable soft-top remains unmarked and is easy to erect. 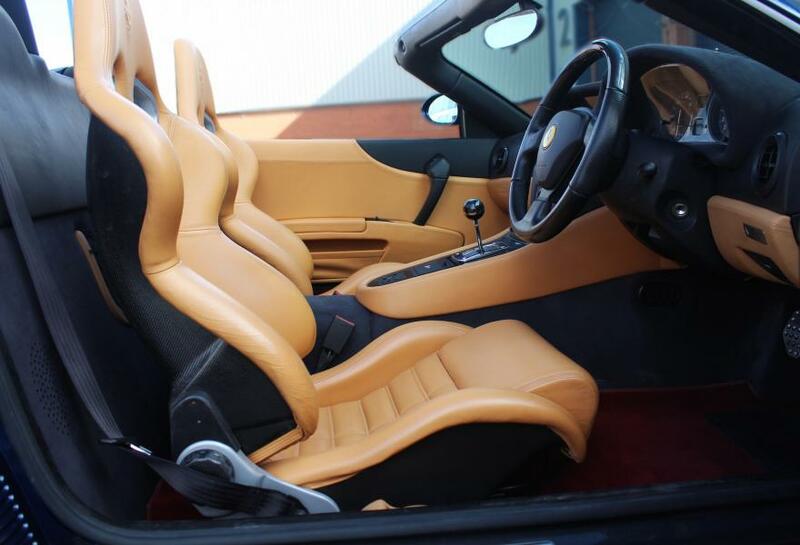 Inside, the 550 emanates exclusivity, its Tan hide seats are in wonderful order and with the carbon fibre racing seats this really feels like one special Ferrari. 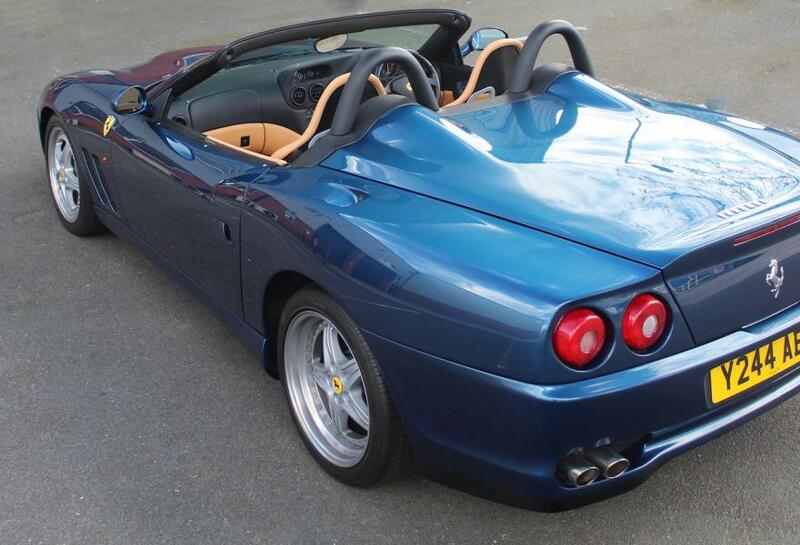 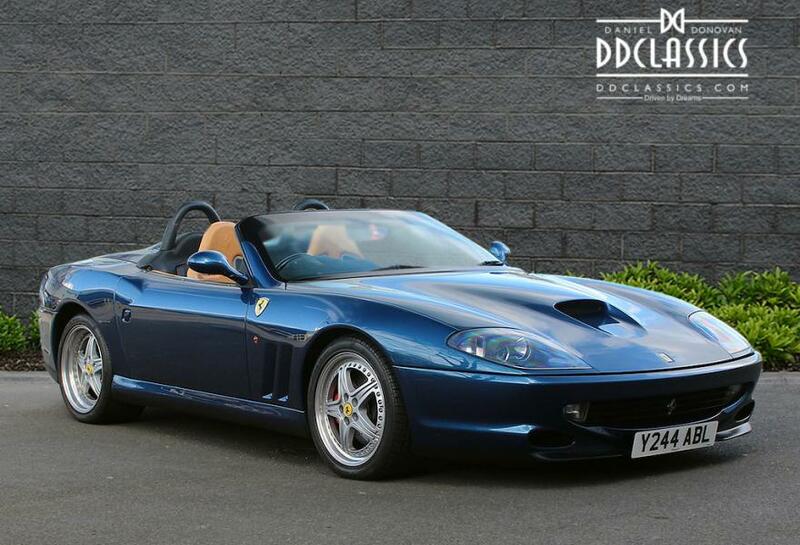 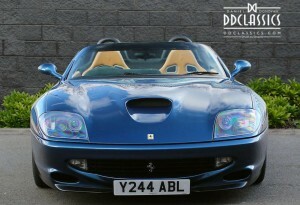 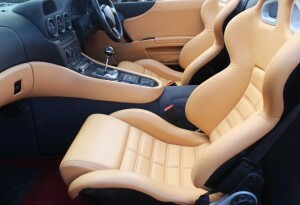 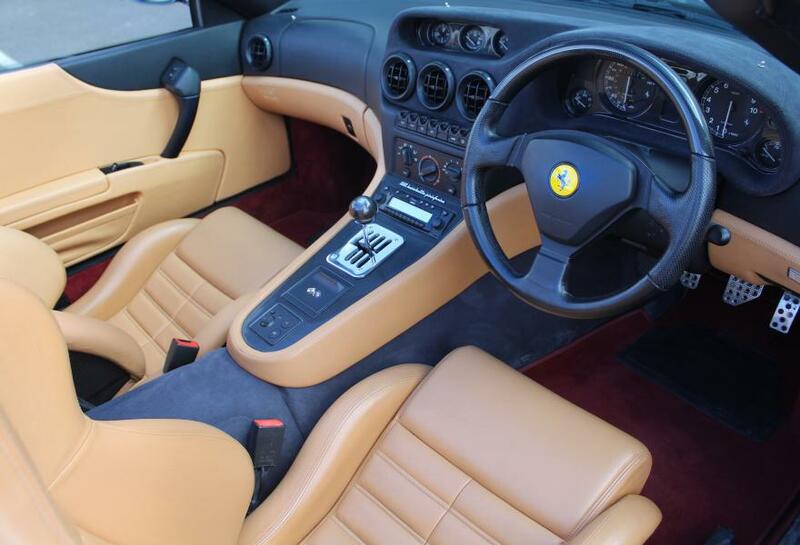 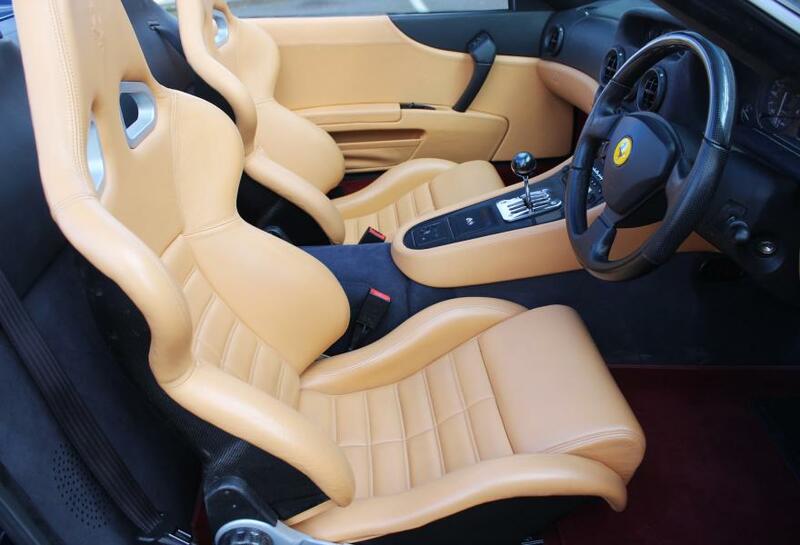 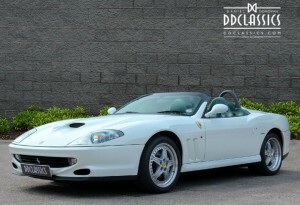 550 Barchetta has travelled a mere 13,800 miles from new and comes complete with the original Ferrari bookpack and service book as well as a comprehensive file of paperwork. 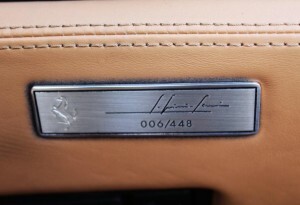 The service book shows the car was first owned by a famous British rockstar and contains a total number of 11 stamps from Ferrari dealers. 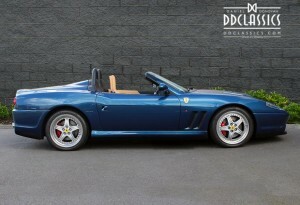 Marking the rebirth of Ferrari’s drop-top, front-engine V-12, the 550 Barchetta is one of the most celebrated Ferraris of the earliest 21st century and a wonderful driving automobile in every right. 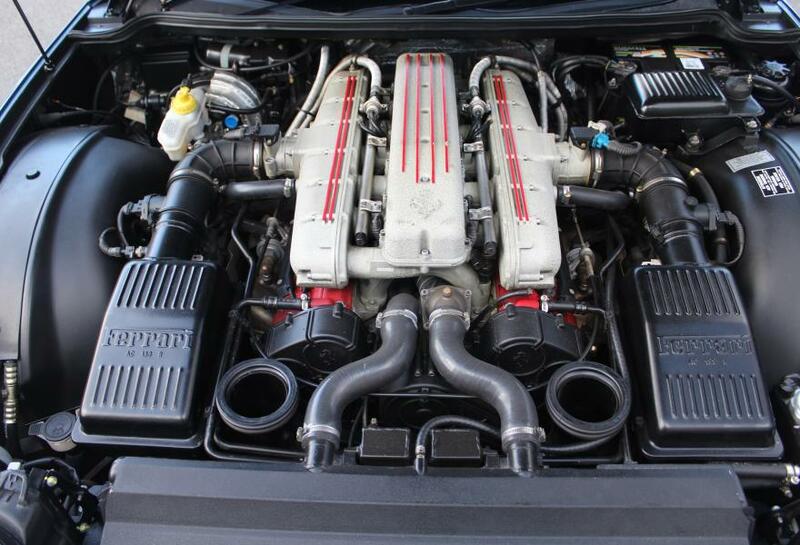 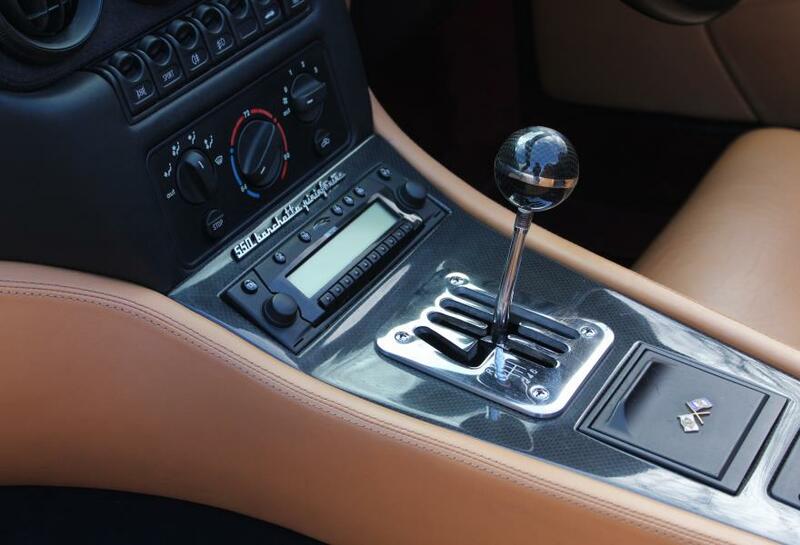 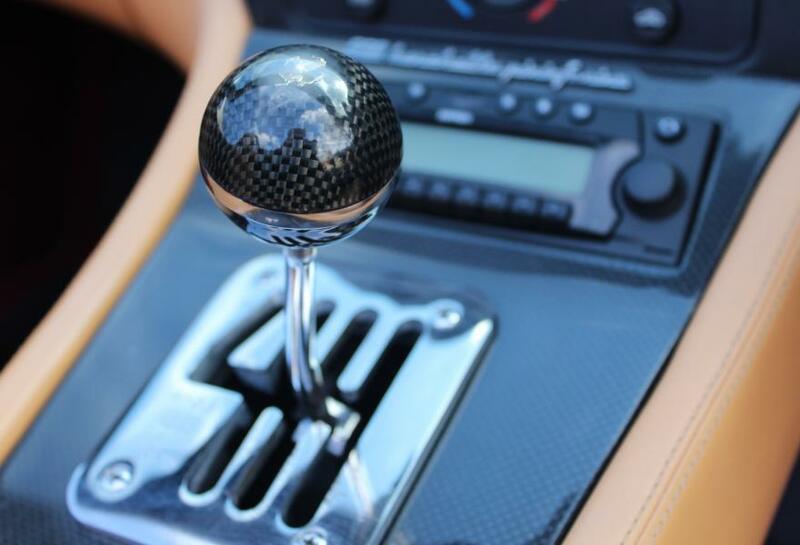 For many enthusiasts, there is nothing better than the thrill of driving a V-12 mated to a six-speed manual transmission and combined with the experience of open-air motoring. The 550 Barchetta has quickly proven to be a true modern-day collectible, as it combines modern speed and performance with the feel and charisma of a vintage Ferrari. 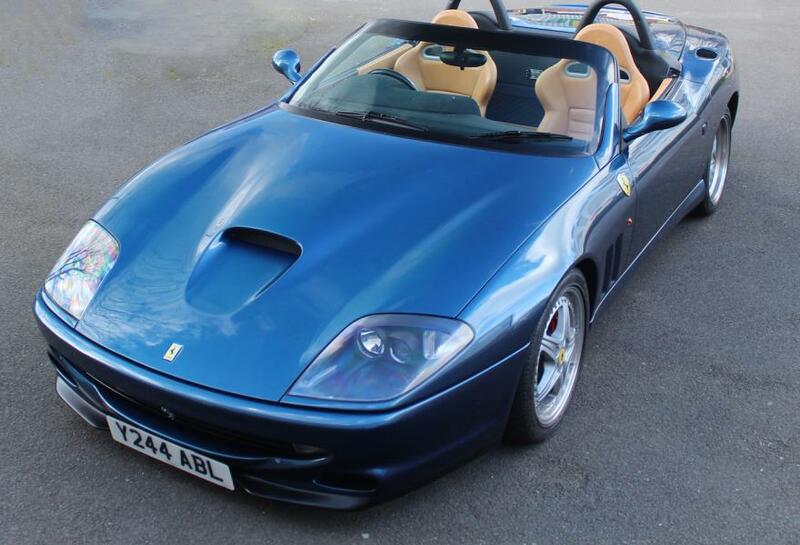 Considering its low mileage and beautiful colour combination, this would make a thrilling and unique addition to any significant collection. 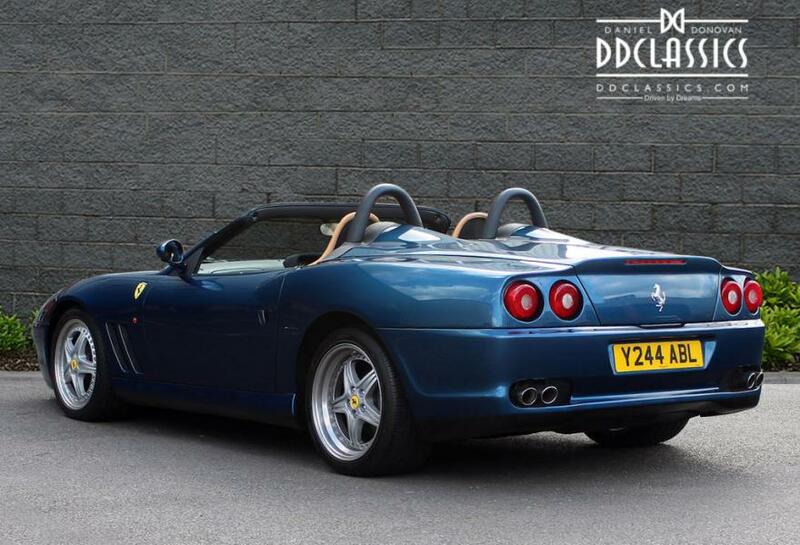 Wonderfully usable yet unique enough to still provide a sense of occasion every time one slides into the driver’s seat, the 550 Barchetta is truly an incredible car to own and behold, and one that never tires of providing top-down fun in the sun.